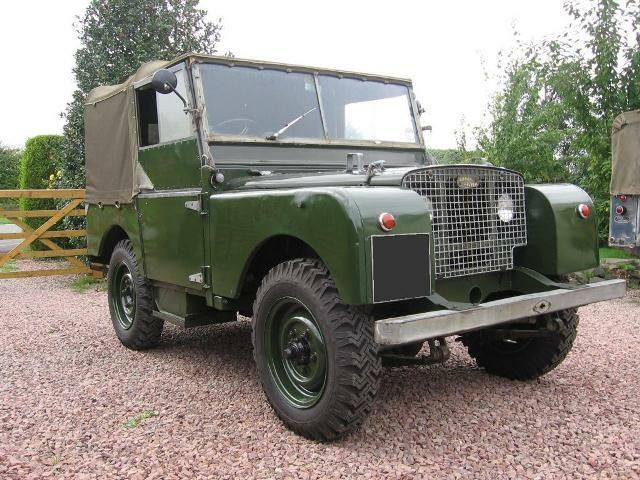 This 1956 107" pick-up was originally sold from a garage in Ledbury, Worcestershire. 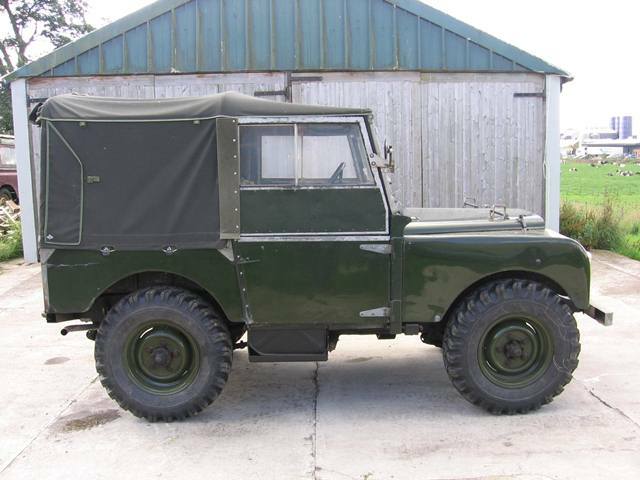 The 107 was used in and about Ledbury until the early 1970's, when it was replaced by a Series III. It was put into storage for the next twenty or so years until it was briefly put back on the road in the late 1990's. 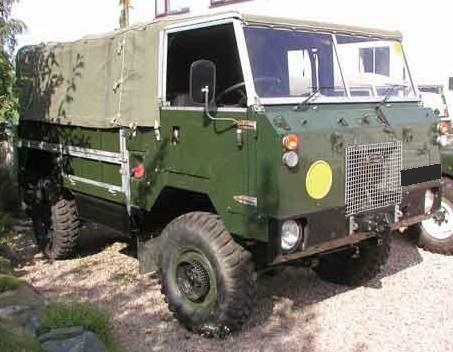 The Land Rover was parked up for the next few years and started to deteriorate. 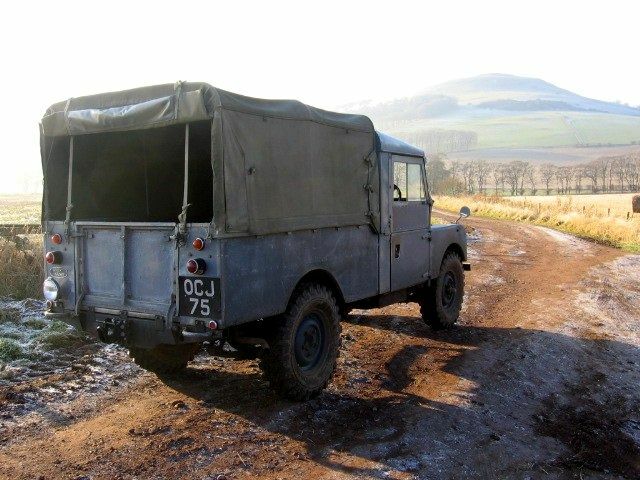 We were lucky enough to purchase the 107 a few years ago and decided that we would give it a full mechanical rebuild, but try to retain its time-worn character. We stripped the 107 down completely, repaired the chassis where required, primed it with zinc rich primer and gave it several coats of chassis black. The chassis was then waxoyled both inside and out. 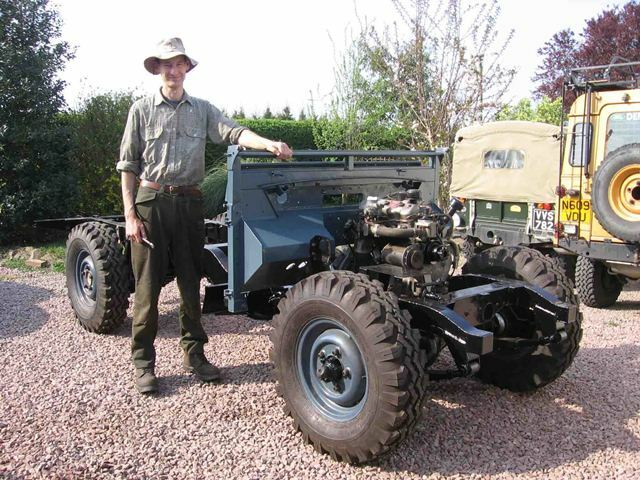 The front leaf springs were in a poor state and were replaced with some new-old-stock ones we had in our stores. The rear springs were not too bad and so were stripped, cleaned up and refitted. 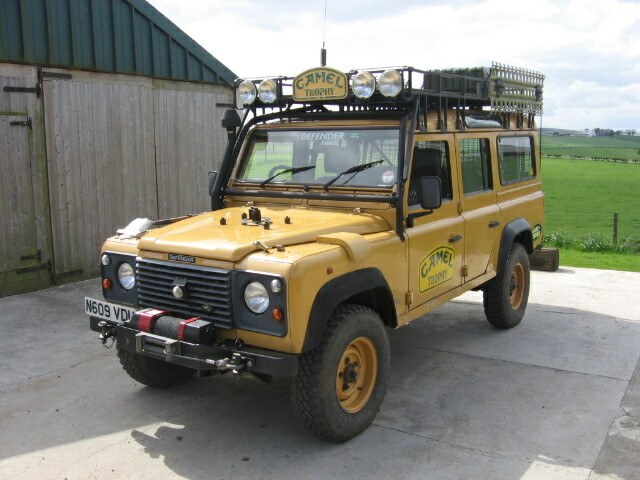 The bulkhead was taken up to Staff Dovey in mid-Wales, who fitted new door pillar lower sockets, top rail and footwells. The workmanship was excellent and once primed the bulkhead looked as good as new. After some experimentation we managed to source some paint that matched the faded original paint on the bodywork fairly well and resprayed the bulkhead. 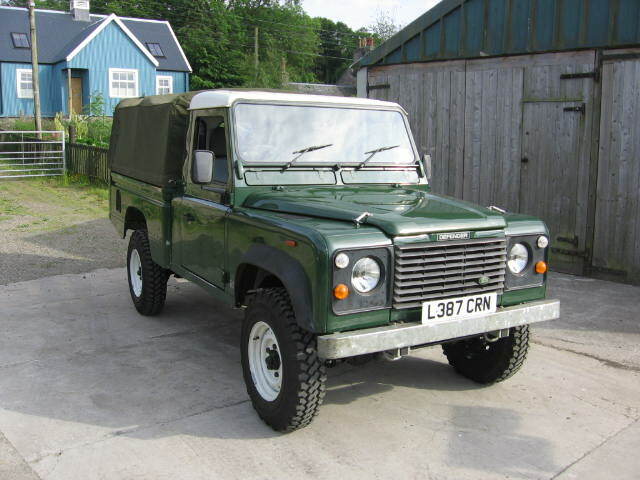 The engine was in very good condition having had a complete rebuild as part of the Land Rovers recommissioning in the 1990's. We dropped the sump to inspect the crankshaft and bearings and clear out any old sludgy oil. The engine was given a full service with fresh oil and filter, valve clearances adjusted, new plugs, points and condensor and the ignition timing reset. The steering box and idler relay were both in very good condition and just required fresh oil. All the steering balljoints were replaced with the correct early style. The track rod was found to be bent and the internal threads were corroded so it was replaced with a new-old-stock item. The braking system was in a poor state and had to be completely overhauled with new wheel cylinders, CuNi pipe with brass unions and new flexi hoses. The master cylinder was leaking and the cylinder bore corroded so would have been expensive to repair or replace. We fitted a later genuine Girling lwb CB master cylinder and swapped the pushrod assembly over to suit the Series One brake pedal mechanism. The Smiths round heater was stripped, cleaned up and painted. The fan motor was stripped, the comutator cleaned up and the bearings regreased. The heater was refitted using the original heater pipes and new hoses. 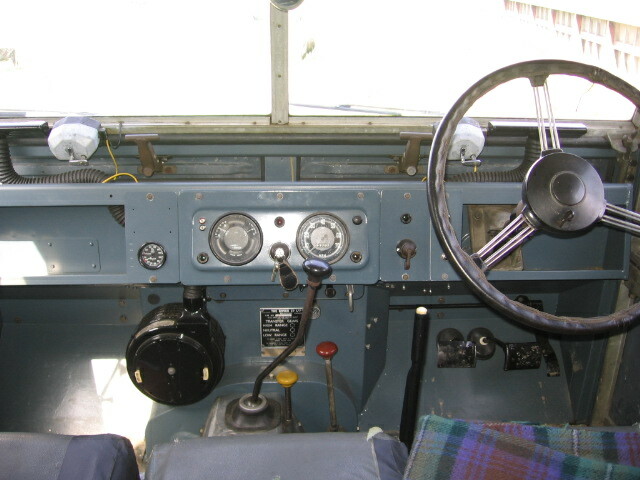 Windscreen demister hoses were sourced from Staff Dovey and fitted to the original windscreen vents. The original seats were not in too bad condition and actually very comfortable and so were refitted. 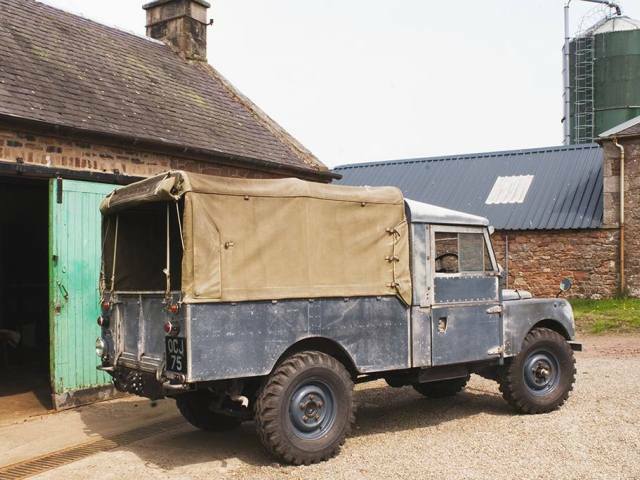 With the bodywork refitted and a fresh MoT, the 107 was pressed into daily service. 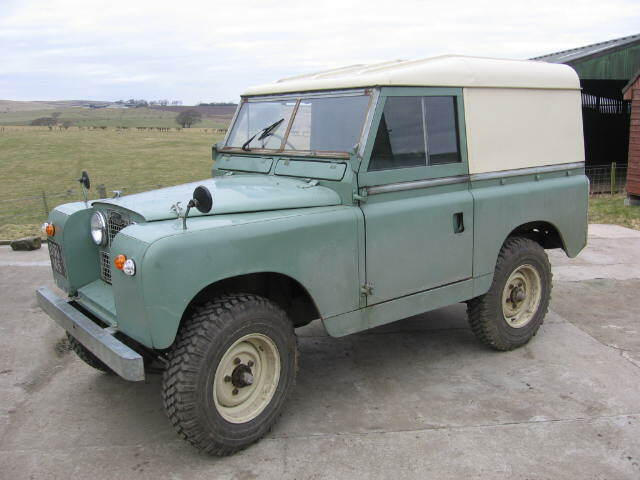 There were a few teething problems; The fuel pump would occasionally stop pumping despite new points being fitted and the carburettor had an intermittent fuelling problem. The fuel pump was completely stripped down and the diagphram and non-return valve replaced, it has not given any further problems. The carburettor problem was traced to some dirt which had somehow got past the fuel filter, Once cleaned out it has run perfectly, apart from some mild carburettor icing in the very cold weather.